We’ve just pushed version 1.3.5 live and thought we’d go over some of the changes. The major feature in this release is the complete rewrite of how Analytics are handled. We have built in support for Google Analytics (including the four largest WordPress plugins), Chartbeat, JetPack, Parse.ly & SimpleReach. 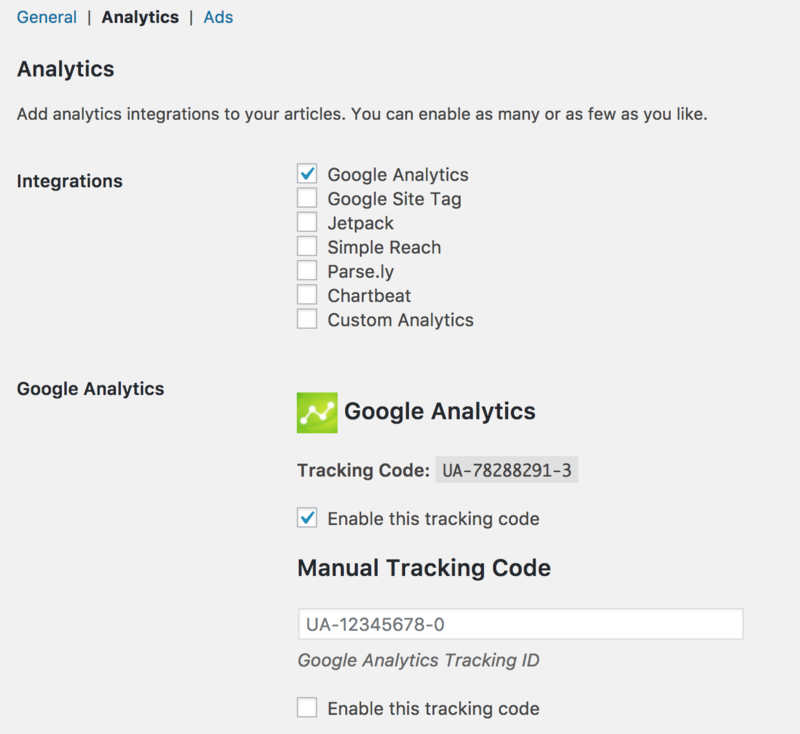 If you have any of those WordPress Analytics plugins installed then it will automatically detect your settings and add them to your Instant Articles, or you can choose to manually add set your own! We’ve also fixed an annoying bug with the API Sync method where it would sometimes only work for one user. Post Content Parser now correctly parses images when accidentally wrapped in heading tags. Other minor fixes include making wp_parse_url() backwards compatible with older versions of WordPress, rewriting how we save post meta and stopping a bug where password protected posts were appearing in the RSS feed. Beside to checkout the Readme for a complete list of fixes.